A lonely legend as old as the first piers sunk in Bilgewater, the armored goliath known as Nautilus roams the dark waters off the coast of the Blue Flame Isles. Driven by a forgotten betrayal, he strikes without warning, swinging his enormous anchor to save the wretched, and drag the greedy to their doom. It is said he comes for those who forget to pay the “Bilgewater tithe”, pulling them down beneath the waves with him—an iron-clad reminder that none can escape the depths. To understand the legend of Nautilus, one must first know the man—for even the tallest of tavern tales agree, he was indeed a man. Though the waves have washed away the name he was born with, most remember Nautilus as no mere sailor, but as a salvage diver. Just beyond the southernmost reach of the Blue Flame Isles lies a graveyard of ships, rumored lost while searching for a blessed land, looking to trade wealth for immortality. On a fair day, their glittering holds beckon from beneath the surface. Many crews sought divers to collect the lost fortune, and none could match the skill of the quick-sinking hulk of solid muscle that was Nautilus. With lungs that could steal the air from a galleon’s sails, Nautilus preferred to freedive. Always bringing up plenty of gold or jewels for the crew, the man demanded no special wages—he asked only that the captain toss a coin overboard as they set out, honoring and appeasing the vast ocean. A sailor’s superstition to be sure, but many a sea-fearing crew made such offerings to ensure a safe return. Years of salvage depleted the easy treasure, each haul becoming less and less, until one day Nautilus’s crew learned that their ship and working papers had been bought out from under them. The dawn was scarlet the morning the new captain came aboard. Hailing from a foreign port, he brought with him a giant suit of brass and iron. He zeroed in on Nautilus; indeed, he had purchased the command because of Nautilus. It was clear the captain was obsessed with a specific wreck, one shrouded in darkness even on a fair day. The diving armor could withstand the pressures of the ocean floor far longer than any man, long enough to collect what was hidden in the abnormal murk. The crew agreed working was better than starving, and Nautilus found himself being bolted into the suit, the wooden deck groaning under the load. Panic rose in his throat when he realized that they had nothing to pay the tithe. The foreign captain laughed as Nautilus was lowered into the water. He assured the crew that whatever the Bearded Lady was protecting would make them all rich beyond their wildest dreams. When Nautilus returned to the surface, they would make their silly sacrifice. As Nautilus sank, the light above dimmed, and all grew quiet, the man’s own breath the only sound echoing in the iron suit. Then something reached out from the depths. He was being pulled down, and for the first time Nautilus felt liquid fear wrap itself around his heart. It was not treasure his captain sought, but some slumbering, eldritch power. Nautilus grabbed the anchor chain, his last connection to the world above, and hauled himself up even as the thing below sought to drag him down. But the weight was too much. Just as his giant metal fingers were about to breach the surface, the chain snapped. Nautilus screamed within the suit, but none could hear him. He tumbled back into the inky maelstrom, clutching the sinking anchor in desperation. Dark tendrils enveloped him, and he could only watch as the dimming outline of his ship faded away. Then everything went black. When Nautilus awoke on the ocean floor, he was something… different. The darkness could no longer hurt him. The great metal suit had become a seamless shell around him, concealing the bond that the primordial power had made with his spirit. Trapped in the sunless depths, he could remember only one thing—the new captain’s broken promise. Nautilus vowed, there and then, that all would pay the ocean’s tithe. He would see to it himself. Driven ever forward by this thought, he trudged toward the shore. But by the time he reached Bilgewater, years had passed, and he could find no traces of his captain or crew. There was no life to which he could return, no revenge he could take. Instead he returned to the sea, allowing his anger to surface on the greedy, gutting their ships with his mighty anchor. Sometimes, in the tumble of waves, distant memories of who he was push up above the waterline… but always the man who is Nautilus stays drowned just below the surface. "When consumed by utter darkness, there is nothing left but forward." Innate: Nautilus' basic attacks deal bonus physical damage and immobilize his targets. This effect cannot happen more than once every few seconds on the same target. Active: Nautilus hurls his anchor forward. If it hits an enemy unit, Nautilus drags himself and the target together dealing magic damage and stunning them briefly. Active: Nautilus surrounds himself with dark energies for 6 seconds, shielding him from damage. While the shield persists, Nautilus' basic attacks deal bonus magic damage over 2 seconds to all enemies around his target. Active: Nautilus slams the ground, causing the earth to explode around him. Each explosion deals magic damage to enemies in the area and slows them for 1.5 seconds. This slow diminishes over time. A unit can be hit by more than one explosion, but they take 50%s less from additional explosions. Active: Nautilus fires a shockwave that chases an enemy champion, dealing magic damage to other enemies it passes through, knocking them into the air, and stunning them. The shockwave explodes upon hitting its target dealing magic damage, launching them into the air and stunning them. Q early damage up, ult cooldown reduced at ranks 1 and 2. These changes enhance Nautilus’s ability to lock down a priority target in fights and send an out-of-position carry into the deep. Mana regen per level decreased. E mana cost increased. Nautilus creates a ton of free pressure if he constantly pushes with Riptide, but still gets to have mana to do whatever else he wants, whether that’s assist ganks, escape them, or fight duels. Pushing constantly with his abilities - specifically before he’s invested in Sunfire Cape or mana items - should make a bigger dent in his mana pool so that opponents have more opportunities to punish him. If you remember our Malphite changes from 6.4 this one’s going to sound familiar. Top lane’s a tank-friendly place these days, and Nautilus has resurfaced as the anchor-wielding lane-bully of choice. Given Naut’s level of reliability as an initiator and overall teamfight nuisance, we’re cutting down on his damage output and (literal) wave-clear in lane to give opponents a shot at getting ahead. "Nautilus is the type of champion that's situationally incredible; pitted against teams with very few threats, Depth Charge creates the most consistent lock-down money can buy, but a lack of high damage follow-up means his targets aren't dead-on-arrival. Against multiple threats however, Nautilus's single-target crowd control is far less effective at protecting his less-titanic teammates. While no longer lost and forgotten with his new buddies in the bottom lane, ol' Nauty (by nature of having gobs of disables) indexes on the higher end of both trading and all-inning leaving few of his peers able to compete. We don't want to ship Nautilus back to the deep end, but trimming back some of his raw ability to win trades by himself should keep him from feeling too OP. Possibly." 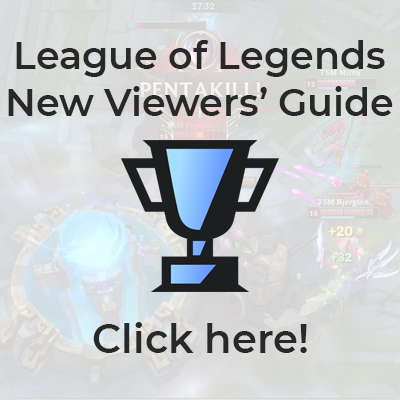 "Like we mentioned in our Visual Effects developer blog, League is an evolving game and, with each day, we're constantly pushing our own expectations forward. Ultimately this means we can always find opportunities to improve and iterate when we don't think we're hitting today's Clarity Bar(™). Much like our earlier texture work, we decided to do a VFX-modernization pass on a few older champions to tone down their visual noise, particularly in teamfights where they can drown out everything else that's happening. We've got four updates in 5.12, with a few more to come in later patches - at that point we'll take a step back to see how they've been doing and if y'all want more down the way! The following champions have received updates to their ability visual effects:"
v5.5 W damage down, E's cooldown, mana costs, and slow duration are all reduced. "By being the cornerstone to both his offensive AND defensive ability, Titan's Wrath forces Nautilus into a playstyle that is very binary - break the shield and he's harmless, or suffer if you fail to do so. Shifting power into Riptide lets him clear faster and take more actions per teamfight, which are two key areas we thought were weighing him down." "When handing out post-holiday season buffs, there was no way we could leave out League's very own Anchor-man. Similar to our Sejuani changes in 4.21, we think Nautilus has acceptable weaknesses in the beginning phases, and we're not looking to change that here; rather, new scalings on his shield (remember, maximum health vs. bonus health is a significant change) makes Titan's Wrath hold pretty even - until Nautilus hits his 2nd health item, where he starts to see significant gains." "We already did this with Vayne, Poppy, and Gnar, and realized Nautilus should probably be able to do the same (some players also let us know! Thanks!)" More anchors to the face. "When we were making the Ancient Golem and Quill Coat changes for tanky support junglers, we knew there were a few who needed some extra help to succeed in the modern game (like Nautilus). Here we saw some easy wins for Nautilus to scale into the late game while also adding... CLARITY!" We're giving Nautilus some love so he can be a little safer in the jungle while scaling better into the late game (particularly with his slow early game). Context: We're buffing Nautilus' late game utility to further define his role in teamfights. This page was last edited on 18 April 2019, at 18:36.